All Appointments have been filled! Learn about the amazing new dermal filler, Bellafill®, and meet with Abbie Calabio our aesthetic nurse practitioner, expert injector, and certified regional trainer. 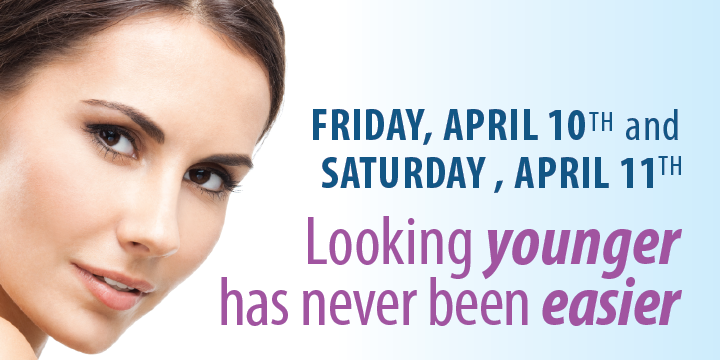 BOTOX®: With a consultation on April 10th, you will receive 10 free units of Botox® (a $105 value). Each friend you refer that attends their own complementary consultation will earn you an additional 10 free units of Botox®. Plus your friend will also receive 10 free units for attending their consultation on that day! Learn more about how this works through the image below. TREATMENT PLAN: Receive a free VISIA visual skin analysis and a customized treatment plan for healing skin damage and beautifying your complexion. DRAWING: Be entered in a drawing for $4,000 worth of Bellafill® treatments. $100 GIFT CERTIFICATE: 1 out of every 10 patients will be randomly selected to receive a $100 gift certificate for BioBalance Health’s aesthetic services. 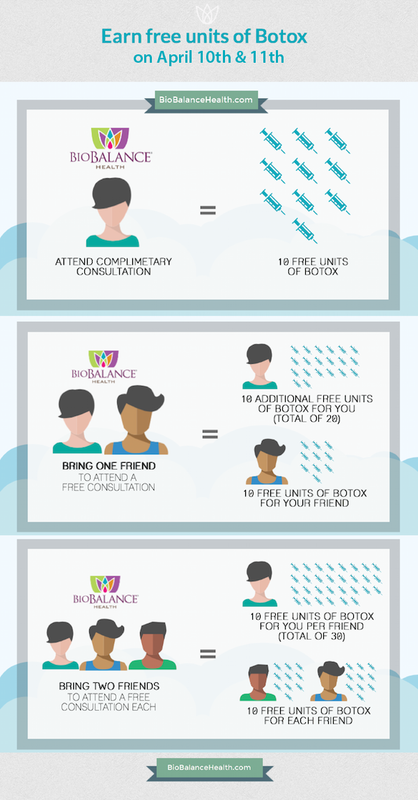 Receive free units of Botox® for attending a complementary consultation on April 10th at BioBalance Health. Bring as many friends as you can for a consultation to earn yourself, and your friends, even more free units!